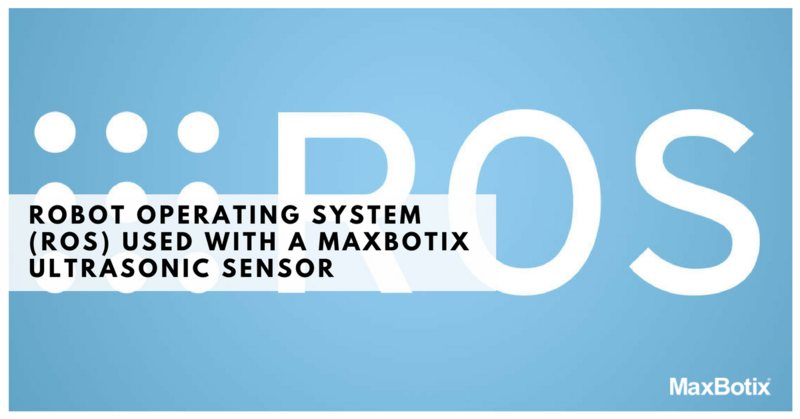 A MaxBotix ultrasonic sensor installed in a robot using the Robot Operating System (ROS) provides the valuable data needed to solve the complex obstacle avoidance and navigation problems on your autonomous robots. The Robot Operating System is a powerful resource that enables collaborative development of truly complex robot software. ROS is designed to be run on any Ubuntu device from a Raspberry Pi to a dedicated PC, learn more about how to connect a Raspberry Pi with a USB ultrasonic sensor. For a great crash course, ROS Tutorial part 1 provides a refresher on ROS and the second video shows robots using Maxbotix ultrasonic sensors, Gentle Intro to ROS – Part 2. It also has excellent presentation slides to provide a strong intellectual foundation. Many of your more advanced questions can be answered within the ROS wiki. 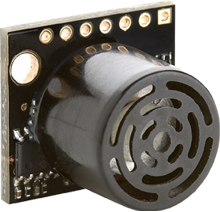 Check out our exclusive selection of low-cost ROS compatible ultrasonic sensors for a wide variety of applications. XL-MaxSonar-EZ ultrasonic rangefinders offer 1cm resolution, 3.3-5.5VDC operation, high power output, noise rejection, and automatic calibration. 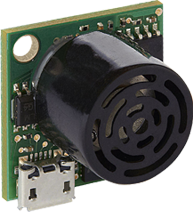 The output options for this ultrasonic sensor line are pulse-width, analog voltage, and asynchronous RS232 serial. Please see datasheet for full specifications. HRLV-MaxSonar-EZ ultrasonic rangefinders offer 1mm resolution, 2.5-5.5VDC operation, temperature compensation, automatic calibration, high accuracy, and stable operation in multi-sensor environments. 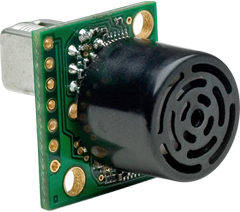 The output options for this ultrasonic sensor line are pulse-width, analog voltage, and a choice of asynchronous RS232 or TTL serial. Please see datasheet for full specifications. 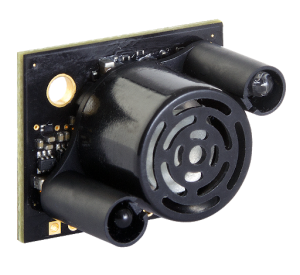 HRUSB-MaxSonar-EZ ultrasonic rangefinders offer 1mm resolution, an easy to use Micro-B USB connection, temperature compensation, automatic calibration, high accuracy, and stable operation in multi-sensor environments. The output of this sensor line will be sent over USB. Please see datasheet for full specifications. LV-MaxSonar-EZ ultrasonic rangefinders offer 1-inch resolution and 2.5-5.5VDC operation. 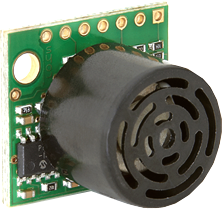 The output options for this ultrasonic sensor line are pulse-width, analog voltage, and asynchronous RS232 serial. Please see datasheet for full specifications. ROS integrates the numerous tasks and components operating on a robot and allows you to break down complex problems into more manageable pieces. ROS connects all messages being sent only with the programs interested in those messages. This means you can write a program without worrying about coding all the inputs and other subroutines. The collaborative nature of the ROS allows you to capitalize on the shared work of the community. This lets you focus on creating only the pieces of software you need without having to reinvent the wheel. For users looking to quickly connect an ultrasonic sensor and go, our USB sensors are a real standout. You can attach a USB sensor to your robot with a standard micro USB cable like a standard phone charging cable. At this point, it doesn’t take much more. All that is left is to write a few simple lines of code and you can fully integrate your MaxBotix sensor into your robot with ROS. Feel free to review and use the following example from the presentation slides to the linked ROS videos. With the flexibility of ROS and the number of packages that are already available, creating software ROS can greatly simplify the task of creating robust robot software. While creating robot software with the robot operating system lets you leverage the collective expertise of the community and produce more robust and flexible robots, being able to install an easy to use MaxBotix rangefinder will help you produce your robot even faster. 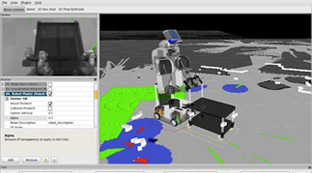 The Robot Operating System is a powerful resource that enables collaborative development of truly complex robot software. A MaxBotix ultrasonic sensor installed in a robot using the ROS provides the valuable data needed to solve the complex obstacle avoidance and navigation problems on your autonomous robots.